AMD CEO Lisa Su was more measured in her response, but she didn’t pass up the opportunity to make a dig at Nvidia, noting that when her company finally adopts ray tracing , people would actually know what it is. But let’s set aside their back and forth on ray tracing and GPUs and hone in on another tiff between the companies — this one is about monitors, and if you’re buying one for gaming in the next few months, you need to pay attention. 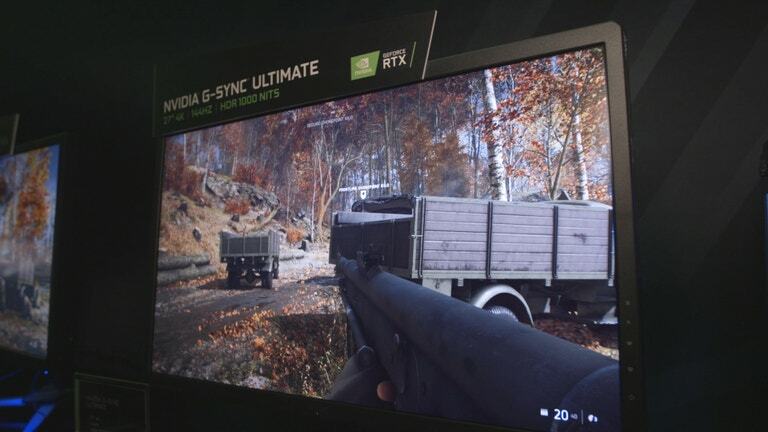 AMD’s FreeSync is based on VESA’s Adaptive Sync technology, which is a different kind of variable refresh rate tech that should work with more monitors and GPUs because no custom scaler is required. Because it is open source and doesn’t require special hardware beyond a DisplayPort 1.2a port, FreeSync monitors are a lot easier to make and cheaper than G-Sync. Later, in a smaller press conference I attended he said, “most of the FreeSync monitors do not work.” He went on to claim, “They don’t even work with AMD’s graphics cards, because nobody tested it. More discussion could lead to things like display manufacturers making it easy to note the supported variable refresh rate range.